It's been an inspired year for new music, encompassing resurrections, surprising second albums, poignant farewells, and courageous confessions. And throughout this rollercoaster of a year, there has been a lot of memorable music and uncompromising artistry. What was the sound of 2018? Looking back on eleven months of New Digs, we were impressed by the variety of releases that we ended up sharing with our listeners, hoping that you might like them as much as we did. 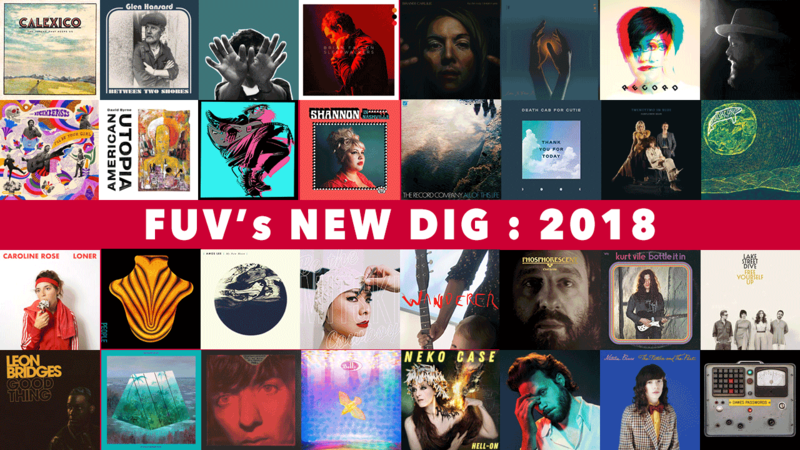 So as the year draws to a close, we shine the New Dig spotlight on the albums we've explored in our weekly feature. We also built a Spotify playlist of some favorite New Dig tracks of 2018, both singles and deeper fare. Check it out below, along with all of the year's New Dig album reviews. Thanks for making music discovery possible all year long on FUV.